The Excess Insurance Company Limited was placed into a members voluntary liquidation on 18 July 2016, see link to Notice to Creditors. On 13 October 2015, an order was made by the High Court of Justice of England and Wales under section 111 and 112 of the Financial Services and Markets Act 2000 sanctioning the scheme (the "Scheme") for the Transfer. Accordingly, the Transfer became effective at 00.01 a.m. (BST) on 15 October 2015. Excess, Hart Re and L&E are all UK run-off businesses of The Hartford Financial Services Group, Inc. (the “Hartford Group”). HFPI is also part of the Hartford Group. 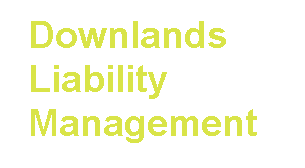 All of the business transferred has been in run-off for at least 10 years and has been managed since 1998 by a single UK subsidiary of the Hartford Group, Downlands Liability Management Limited, (“DLM”). DLM will continue to manage all of the books of business after the Transfer and so there will be no change to the way in which claims are handled or to any contact details. If applicable, your policy will continue to be serviced by your insurance broker or intermediary.